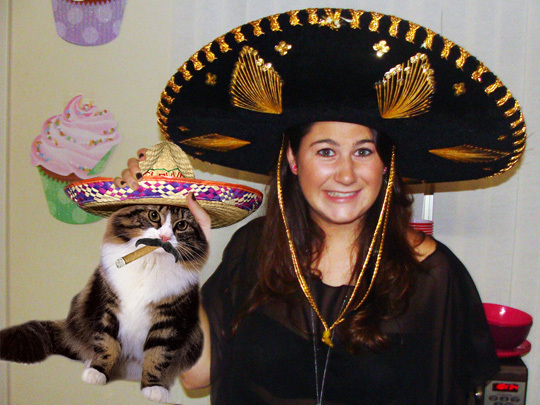 A Boozecat in a sombrero is an amazing Boozecat indeed. These two are partying hard South of the Border. Cortar el Cesped! Hello mates, how is all, and what you would like to say regarding this article, in my view its really amazing in support of me. It’s awesome for me to have a web page, which is useful for my experience. like work out more strategies in this regard, thank you for sharing. This piece of writing is truly a pleasant one it assists new net viewers, who are wishing for blogging. to be transferred from the hair to the comb. become increasingly valuable to find out Spanish. also other activities are getting popular day by day.